This entry was posted in Editorial, INSPIRATION, News, Outfit and tagged closetcast, J. 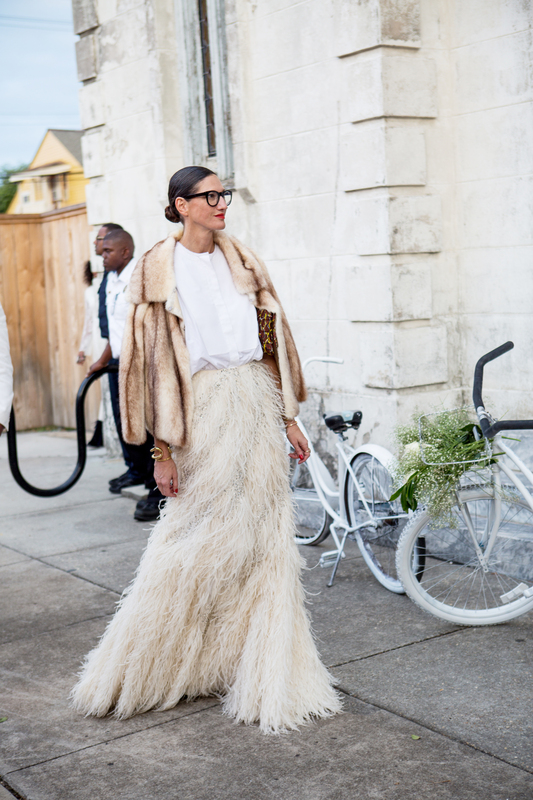 Crew, jcrew, jenna lyons, jenna lyons feather skirt, new orleans, solange knowles, solange wedding, who what wear. Bookmark the permalink. Incredible. What an amazing skirt! Obsessed with everything that is happening here! She stole the show! Jenna- everything she does is just perfection! She gives me hope that I don’t have to look like a dork with glasses on.